We've been wheeling and dealing all season (at least hypothetically), but now's the time when the real moves are made. 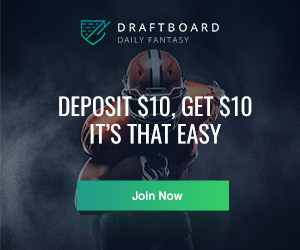 One of the biggest risk-reward propositions a fantasy owner can undertake is to buy or sell a player based purely on speculation of a real-life trade. We know many of the higher profile names who have been rumored in trade talks, but we can't truly predict if/where they will move. Frontrunners will want to sell from a position of strength in order to shore up any potential holes in the lineup, but shouldn't make any earth-shattering deals. Fantasy teams on the playoff bubble or within striking distance of the league leader might need to roll the dice, however. Adding a huge risk like Matt Harvey or selling a solid hitter like Jose Martinez might seem counterintuitive, but forward-thinking owners should see the potential benefit if they don't fall victim to recency bias. The second half is here and in some cases, it's a whole new ballgame. 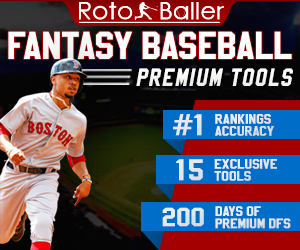 Scouting players who may be undervalued and re-assessing players who may be overvalued is a weekly exercise that you should constantly pursue as a dedicated fantasy baseball manager. Fortunately, I have you covered. Here are a few players who are good buy or sell candidates based on their current performance compared to ownership levels. This could mean scooping them off waivers if possible or actively seeking a trade to acquire or discard certain players in order to maximize value. I will never advocate that you buy or sell a player if I wouldn't follow the same advice myself. Now, time to assess some fantasy values. Let's begin the pre-trade deadline bonanza with an obvious one. Dozier is a notorious second-half masher, although that reputation is really based on the last two seasons alone. He nearly doubled his power output in the second halves of 2016 and 2017, but his overall career splits are pretty much the same. Based on the first half of 2018, let's assume he's been waiting for this moment to get going. The other factor is trade speculation that could see Dozier finally move on from a flailing Twins team to a team like the Brewers. Target Field in Minnesota has the second-worst HR Factor for right-handed batters this season, whereas Milwaukee's Miller Park is eighth for RHB. The upgrade in home stadium and lineup support could propel Dozier back to an elite two-bagger quicker than you can say "Buxton's a bust." Odor hasn't rewarded owners who took a chance on his average catching up to his power this year, especially with a DL stint right off the bat slowing things down. That average is slowly creeping upward, though. Odor has hit .286 in July so far, although most of his damage has come in low leverage situations, where he's hitting 89 points higher. Average aside, Odor is expected to deliver both homers and steals to offset that aspect of his game. If the Rangers are smart, they'll put the brakes on him from now on, since he's been caught six times out of 11 attempts. The power should come around, however, as Odor's 9.2% HR/FB is almost seven points below last year's rate and he is posting a career-high 39.5% Hard%. If you don't want to pony up for Dozier, consider Odor a more affordable source of pop at second base. You're not going to keep waiting for Jonathan Schoop to turn things around, are you? The offensive-minded prospect made his MLB debut on Friday, going 1-for-6 with an RBI. Calhoun could be a weekly streamer only, since Nomar Mazara is expected to return in the minimum of 10 days, but we've seen this movie before where a top prospect makes the most of his opportunity and sticks around longer than expected. Whether or not they turn out to be sellers in the coming week, the Rangers are going nowhere in 2018 and would be well-served to give their top prospects a long look. Take a chance on him wherever available in all but the shallowest of leagues. It took a good long while before I was willing to consider Harvey as even a remote possibility, but it looks like leaving New York may have done the trick for a resurgence. Harvey has won four of his past five starts, limiting opponents to six earned runs over the past 29 innings with an average of one walk per start. There's little reason to doubt his ability at this point, even if you aren't 100% convinced the health will hold up. 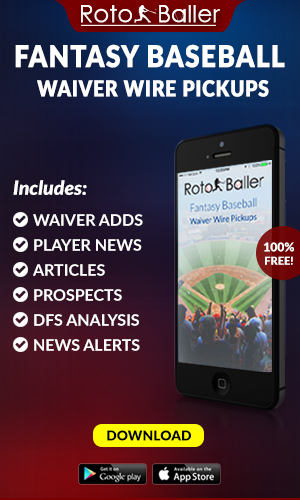 As a waiver wire add, you aren't investing a whole lot to take a chance on a former All-Star. The best part is that he could be moving to a better team situation by the trade deadline which could keep the wins coming. Apparently, we owe all of Martinez's success to recently departed manager Mike Matheny, as new skipper Mike Shildt has kept Martinez on the bench ever since taking over. Blame it on his lack of defense, but it's still odd considering Martinez was leading the team in batting average and has been their most consistent hitter since Opening Day. 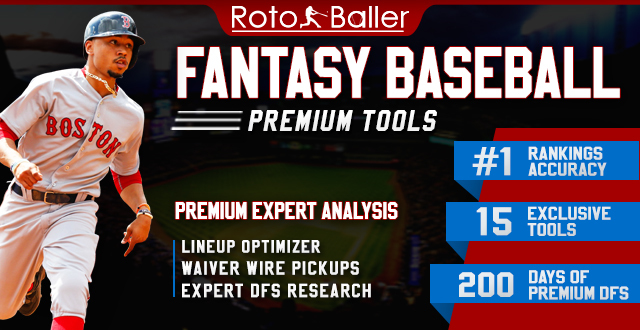 Pinch hitters aren't strong fantasy assets, however, so as long as Martinez isn't seeing the field, he is worthless. 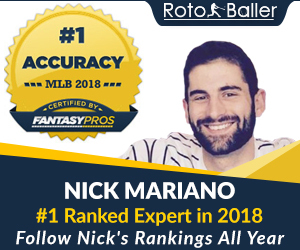 Your league-mates have likely noticed this trend as well, so try to capitalize on the theory that Martinez will get dealt to an American League team and regain his mojo. This begs the question: if he does move to a contender in the AL, shouldn't I stand pat on him? First of all, there's no guarantee he does move to a better team or anywhere at all. He could simply become a platoon player or pinch-hitter the rest of the way, despite his strong offense. Second, he isn't guaranteed to be an everyday player if he goes somewhere like Cleveland or New York, where he will be used situationally. Finally, there's no guarantee he will thrive in a new league, having to adjust to a new team and new slate of pitchers, as his only Major League experience has come in St. Louis. In other words, don't wait another minute before adding him to your trade block and get the best return possible, even if the stat lines don't nearly match up. Crawford has been overachieving all season at the plate. There's no other way to slice it - regresssion was going to come and this may be the time. Crawford is a career .256 hitter whose BABIP is 43 points higher than his career mark. His 28.4% line drive rate has been phenomenal, coupled with a strong 37.8% Hard%. He's scuffled to a .167 average in July, however, and hasn't gone deep all month. Stuck in a lineup full of players past their prime for a non-contending team, Crawford isn't in prime position to rack up counting stats anyway. His limited trade value may have already dried up, but his strong season-long numbers and recent All-Star appearance could be enough to sway a fellow owner into taking him on. Any time the term "ulnar collateral ligament" is invoked when mentioning a player's recent injury history, that alone should give plenty of pause to any fantasy owner. Cueto is back after two months of rest, but he's struggled in his first two outings, giving up four homers and eight earned runs in 10 innings. Even if Cueto settles down and avoids further injury, he may be limited to no more than five IP per start. That will keep him fresh, but it will also limit his chance to earn wins. You don't want to sell low, so wait and hope he puts together a quality start or two before sending out offers.